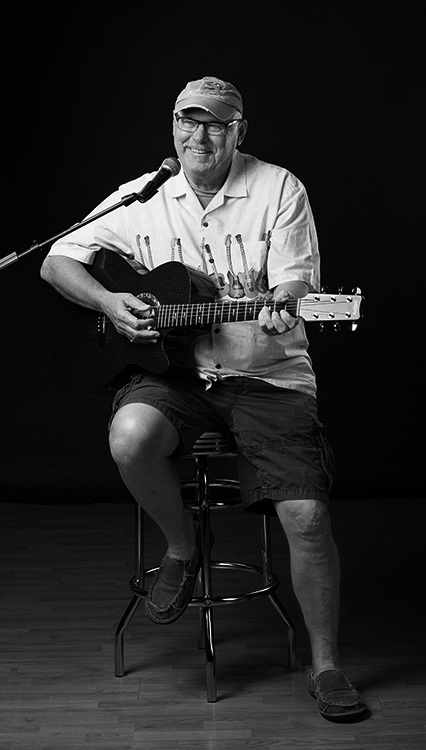 A Pirate Over 50… aka Al Ronek performs as a solo Jimmy Buffett-Classic Rock Covers-Country Favorites Acoustic act in many venues in the Tri-State area…and a bit farther if his wife lets him go! His Pirate Dream came true when he was blessed with the opportunity to “du-et” with Nadirah Shakoor and entertain with other musicians from Jimmy Buffett’s Coral Reefer Band at The Havana Daydreamin’ Event in The Quad Cities a few years back! The Pirate has joined with The Mississippi Band for several events, including the opening act for Grand Funk Railroad at Ragbrai, as well as teamed up with other local musicians for two to six man shows. Arrrgggghhhh! See you soon, The Pirate and his Wench (aka secretary).